18th INTA Open International Championships. Written on 11 February 2017 . 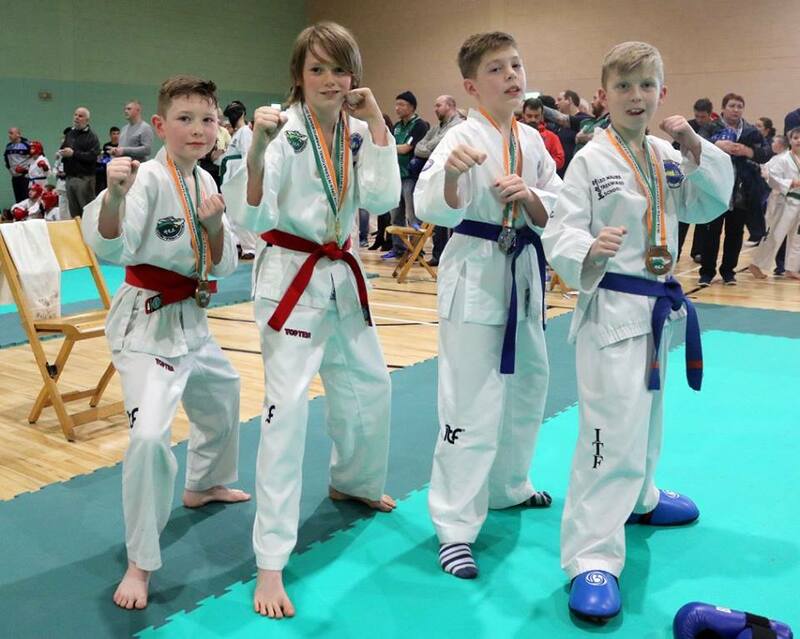 The Irish National Taekwon do Association held the 18th Open International ITF Taekwon do Championships on the 4th & 5th of February 2017 at Aras Preston Gormanston sports complex, County Meath, the longest running ITF tournament in Europe. 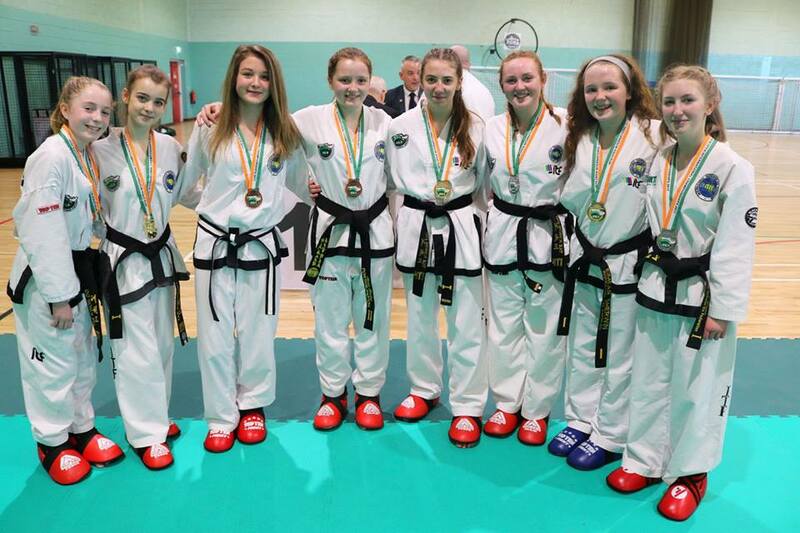 The whole event was a huge success with more than 600 competitors from Ireland, Scotland, Belgium, Norway and USA competing over the two days. 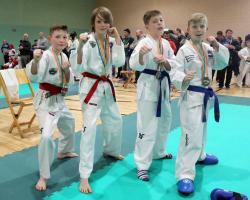 The event started on Saturday at 10am with 450 children up to 15 years competing in 7 rings with special technique (Overhead kick) for 12 and younger then moving to patterns and sparring competition. 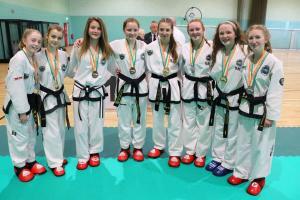 On Sunday it was time for the senior competition, more than 150 competitors including all black belts and colour belts from 16 years and older compete in Patterns, Sparring & Veterans (40+) sparring divisions and Power competition in six rings. 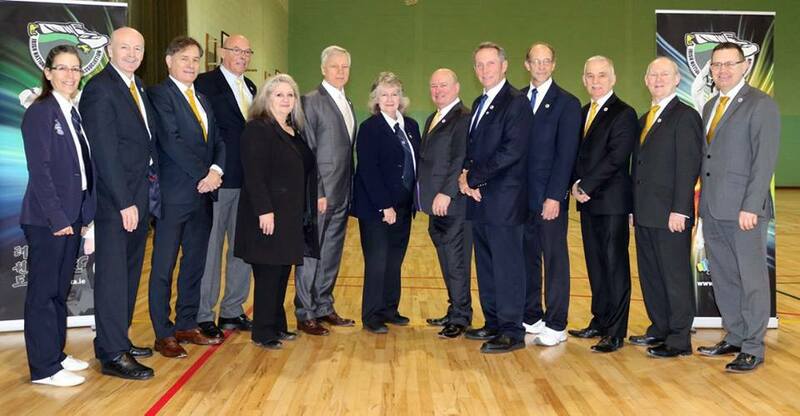 It was also a great privilege for the INTA to have a great number of grandmasters and Masters attend as special guests at our championships. On Saturday evening the INTA hosted a private dinner with our special guest Grandmasters, Masters and visiting senior Instructors. This was a great opportunity to socialise with old friends and to make new friends. Master Doyle 7th degree from Ireland. Ms Annick van Driessche 6th degree President of ITF Belgium, Ms Fox 6th degree from USA, Ms Joanne Healy 5th degree from USA and Mr Leo Maguire 5th degree President of UKTC Northern Ireland. The Umpire committee and all the umpires, coaches, competitors and the volunteers who help setting up the arena and of course the INTA tournament committee Mr Nigel Stobie 6th degree, Nicola Bergin 4th degree, Jeroen Wezelman 3rd degree & Liam Carberry 2nd degree who spent months working towards making this a successful event. We also hope that all our guests enjoyed our tournament and we look forward to seeing you again soon. 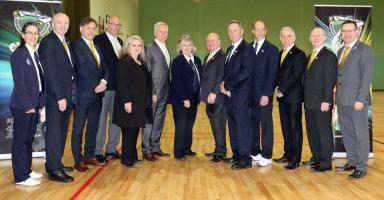 INTA Tournament & Umpire Committee.